Freelancing as a graphic designer isn’t all roses. On the contrary, the road is always filled with obstacles, and things will often not work out the way you wanted. You might have ‘dry’ spells when clients just aren’t coming your way, or be frustrated by how you aren’t as good as your peers. In short, you don’t know where you want to be success-wise, and feel like you don’t have any self-worth as a graphic designer. Success to you is probably about how much money you make — and there’s nothing wrong with that. 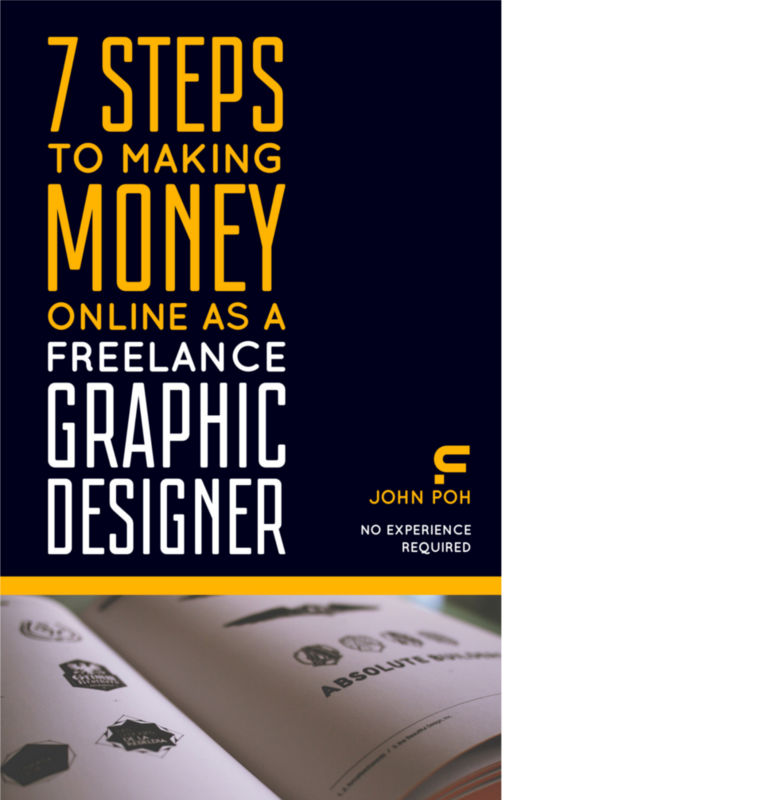 After all, you need money in order to live comfortably and keep freelancing as a graphic designer. As such, you might be disheartened by your lack of business, especially when you’re just starting out. While there’s actually nothing wrong with measuring success based on the money you make — it should only be seen as the first step towards building self-worth. In truth, you will always want more money, but you have to realize that you’re just trying to achieve society’s definition of success. Put your financial situation into perspective by managing your money and budgeting. By knowing how much you should earn as a graphic designer to live comfortably, you set a number that when reached, will allow you think about other ways to define your self-worth. Believe it or not, you have many merits as a graphic designer besides how much you earn. Conversely, identifying your weaknesses allows you to understand exactly where you need to work on to get ahead. In other words, building self-worth is about appreciating yourself for who you are — and taking steps to improve yourself every day. Once you start loving yourself and your work, you won’t feel need to seek approval from others or keep stressing out over nothing. For a start, look deeper into yourself and discover what you really want as a graphic designer. You will find that even with money, there are usually much more basic desires, such as power and independence. Once you understand what drives you, it will be easier for you to come up with goals and objectives that better correspond to your situation. If you want to learn more, Professor Steven Reiss has proposed a theory on 16 basic desires that guide nearly all human behavior. Most importantly, you have to set targets and work towards achieving them. Short terms goals are manageable and give you the motivation to end each day on a high note. Conversely, long term goals require patience and perseverance, but will keep you focused on the bigger picture. Next, you should realize that you’re brave enough to pursue your dreams, which is something not many people are capable of. As long as you keep doing what you love, you will be successful in the end — simply due to the fact that you refuse to be controlled by your insecurities. Furthermore, nothing makes a better teacher than experience. You will make mistakes, but always use them as an opportunity for learning and growth. Also, take time to travel and open your eyes to the world of graphic design. In fact, you’re already very valuable as a graphic designer. Unlike some industries where automation is replacing human workers, creativity is probably the one thing that can never be truly automated. Because you see things in slightly different way from every other designer, your work will always be unique; it’s just a matter of finding right people who value your skills and you will be set for success. Building self-worth is a long process, but be honest with your work and keep pushing yourself every day. You will get addicted as you start to improve, and enjoy your work even more. Practice doesn’t make perfect, but it can definitely make you great. You will never stop getting better unless you give up, and as long as you improve, you will always be above the people who don’t make the effort. Over time, you will be able to look back and see how far you have come, as well as all the skills and knowledge you have gained. Be encouraged by the fact that you will perform even better if you took on the same project today. In the process, you have to learn how to avoid procrastination. As the saying goes, actions speak louder than words. You should always be motivated enough to finish the task at hand. If you don’t, the guilt and stress of not meeting client expectations will hinder your success. In addition, you don’t want to obsess over perfection because there is no such thing as perfect. You will feel like you’re never good enough, which would destroy your self-worth. Instead, put everything you have into producing designs of the highest quality, and people will be more than willing to pay for your services. As you get your work out there, you’re bound to receive feedback, both positive and negative. A few people will try to put you down, but almost everyone else will help you improve in one way or another. As such, you should view any feedback as a learning experience instead of a blow to your self-worth. Similarly, comparing yourself to others is a downward spiral into depression. Someone will always be better than you. Instead, observe other people’s work and use everything you learn from them to help you improve as a graphic designer. You should also surround yourself with people that will motivate you towards success; go out of your comfort zone and meet people with similar aspirations. It’s not just about them encouraging you in times of frustration; you should also use your skills to help them without expecting anything in return. Nurturing and growing the bonds around you will do wonders to helping you grow as a person. In the end, know what you want to do as a freelance graphic designer, and don’t lose that focus. Doing your best at what you enjoy is the best way to build self-worth and achieve success.